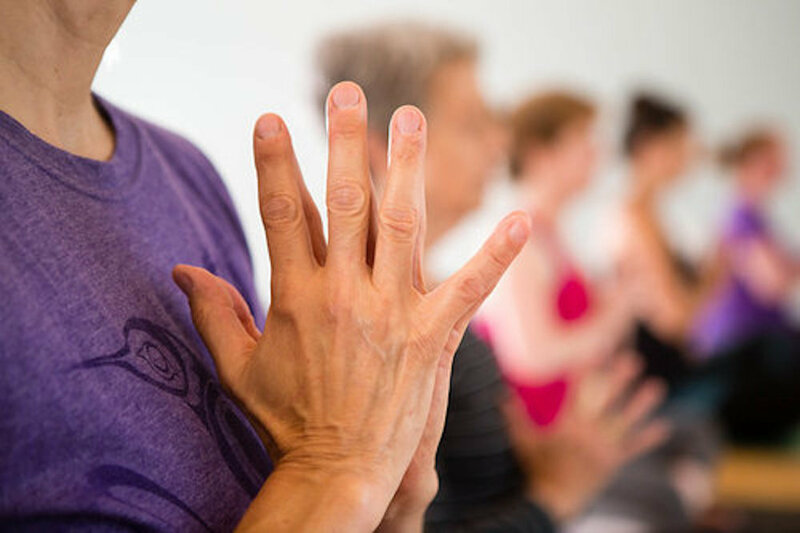 Greet the arrival of spring with a weekend yoga experience designed to shake off the winter blues and prepare for a season of growth and renewal. Richmond-based teachers Sarah Fischer and Sarah Maxfield will guide heart-centered, alignment-based yoga practices that will include a full offering of poses for beginner to advanced students. Guest teacher, Anita Schill will lead a therapeutic session of yoga and myofacial release practices. All three teachers will be available in every session to provide support for your practice, including optional hands-on adjustments. Launch your spring cleaning from the inside out with this specially designed weekend of yoga. Join us for the entire weekend or pick and choose your sessions. Create a strong platform for your heart to speak truth. Working to strengthen your shoulders, this heart opening practice will include all levels of Backbends. Through yoga and myofacial release practices you will rid your body of tension, create space for your body to heal itself, and strengthen your container. You will use a variety of balls, massage peanuts, and other therapeutic props to begin to release, relax, open and heal from daily stresses. Sarah has been teaching yoga in Richmond since 2007. She is known for her focus on precise alignment, effective sequencing, and relatable storytelling. Sarah is also a life-coach and enjoys helping students and clients connect deeply inwards to live authentically from their hearts. She lives on the Northside with her family. Sarah has been a Massage Therapist working mainly with athletes in training and recovery for more than 11 years. Her love of yoga led her to become a teacher to share not only the physical aspects of yoga but also the philosophy of Tantra Yoga. When not on the yoga mat she can be found snuggling her 3 rescue dogs at home with her husband. Anita was certified by the International Association of Yoga Therapists as a yoga therapist after completing her yoga therapy studies with Jenny Otto and Body Balance Yoga®. She is also a licensed Ashaya Yoga® teacher. She has been a student of yoga since 1999 and a teacher since 2011. She lives in Winchester, VA with her husband and dog-child.